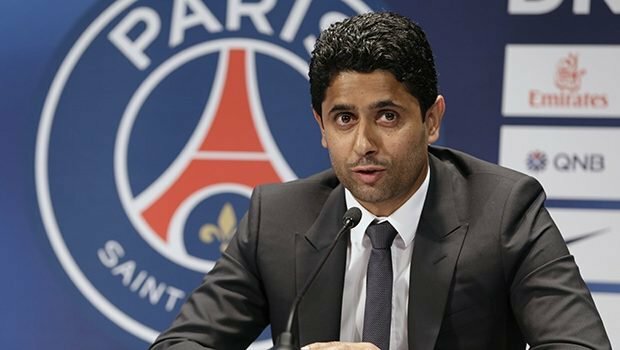 January 31 – A highly sensitive spanner has been tossed into the workings of UEFA’s annual congress next week with Paris St-Germain supremo Nasser Al-Khelaifi set to join the organisation’s executive committee despite his club being under financial investigation and he himself being embroiled in a criminal case. The 45-year-old Qatari has been controversially elected by the European Club Association (ECA), which represents around 200 clubs, to be one of its two UEFA exco delegates in succession to Ivan Gazidis, the former Arsenal chief executive who has moved to Italy’s AC Milan. Al-Khelaifi ‘s position on the executive committee has to be ratified in Rome by UEFA’s 55-strong congress, throwing up a potential conflict of interest of the kind that has long plagued FIFA but which rarely affects European football’s governing body. Al-Khelaifi was alleged to have struck illegal deals with disgraced former FIFA secretary-general Jerome Valcke for the award of broadcasting rights for the two events. He has long denied any wrongdoing and has not been charged. PSG, owned by Qatar Sports Investments since 2011, has been accused of “financial doping” by outspoken La Liga president Javier Tebas in their elusive quest to finally land the Champions League. The club have already been punished once for breaking financial fair play rules in 2014 when they had to forfeit €20 million and an investigation into their way of operating was re-opened by UEFA in September last year. Although initially cleared of again falling foul of FFP rules, UEFA said that decision would be reviewed and in November, amid fresh scrutiny over PSG’s conduct and whether sponsorship revenue from Qatar had been overvalued, UEFA president Aleksander Ceferin said that FFP regulations need to be “more robust”. In a statement from the European Club Association, Al-Khelaifi said he was “deeply honoured” to be taking the UEFA executive committee place alongside Juventus president Andrea Agnelli, the ECA chairman. “I look forward to working alongside members of the UEFA executive committee to enhance and develop European football, whilst ensuring that the interests of all the clubs are represented in the decision making process,” Al-Khelaifi said. An interesting statement given that several ECA club are reported to have questioned how the French giants could afford to splash out on big-name signings like Neymar and Kylian Mbappe whilst at the same time conforming to the regulations.